Build a practical and rugged bed for the kids in your life, or create a cozy haven for yourself with free bed plans. Bedtime will turn into fun time with a great bunk bed or boat-shaped bed for children, while adults will enjoy relaxing in a stylish poster bed that can be customized to fit your décor. 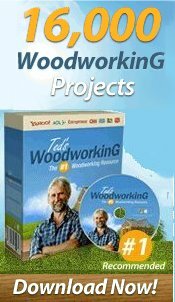 How to build a simple bunk bed that is rugged. Plans for an easy-to-build toddler bed that costs $35 to build. 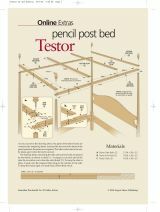 Material list and diagram to build a pencil post bed. This is the perfect bed for any child's room as it offers a place to sleep plus six drawers for lots of additional storage. Give kids a place to play and to sleep using this plan for a bed that is designed to look like a fire station. Build a boat-shaped bed that has lots of storage. 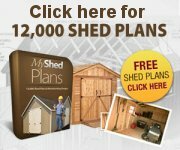 Free plans are nice, but if you want to buy a bed plan instead, check out the variety listed below. Individual bed plans are available as well as books. Indulge yourself in our finest quality bed plans. These assortments come straight from one of the country’s top artisans. A rough and tough design and highly durable, these beds will last for decades without needing any kind of maintenance. This intricate bed serves as attractive furniture in day time and a cozy bed at night. A side mounted hardware design that plunges down for a bed and can also be used to store different items. If you have little space to play with, then this is your option. It’s a simple yet comfortable folding bed. Make a bold fashion statement with this impressive futon couch and bed plans.